As reported at USA Today, more Americans had their backgrounds checked to purchase guns on this past Black Friday than any day in the on record. According to FBI, the National Instant Criminal Background Check System processed 185,345 requests on November 27, one of the largest retail sales days in the country. The more Barack Obama threatens to impact the 2nd Amendment with his gun control agenda, the more Americans buy guns. Not because of any need, but because it is their Constitutional Right! Other Black Friday shopping days in 2014, 2013 and 2012 occupied the FBI’s “top 10″ list of the most background checks processed in a 24-hour period. People don’t seem to understand that the separation of powers is not about the power of these branches, it’s there to protect individual liberty, it’s there to protect us from the concentration of power. That’s what is occurring here. You know, I’ve said it before, Barack Obama is really the president Richard Nixon always wanted to be. You know, he’s been allowed to act unilaterally in a way that we’ve fought for decades. SEAN HANNITY: We do have co-equal branches of government, separation of powers. You teach this regularly. You agree with the president politically. For you to say we are at a tipping point constitutionally — now, I agree with you. What does that mean considering our constitution is our rule of law and they are ignoring it? 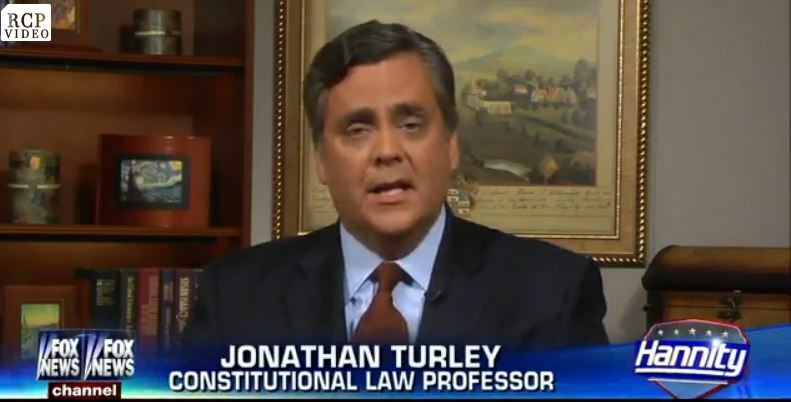 JONATHAN TURLEY: Well, unfortunately our system is changing, and it’s changing without a debate. Or even a discussion about what we’re going to do in the future when we have a three branch system, a tripartite system but one branch is so dominant. What’s emerging is an imperial presidency, an uber presidency as I’ve called it, where the president can act unilaterally. This is only the latest example of that. What’s troubling is that we have a system that has been stable precisely because these are limited and shared powers. This president has indicated that he’s just not willing to comply with some of those aspects. He told Congress he would go it alone and in our system you’re not allowed to go it alone. SEAN HANNITY: If I broke the law, why do I think they would be the first people to hand kickoff me, perp walk me and send me off to jail. This is just my belief system. Paranoia or truth? JONATHAN TURLEY: Well, I think that the biggest problem we have is that the system itself, if we have a dominant branch, simply begins to shut down in terms of the safeguards. People don’t seem to understand that the separation of powers is not about the power of these branches, it’s there to protect individual liberty, it’s there to protect us from the concentration of power. That’s what is occurring here. You know, I’ve said it before, Barack Obama is really the president Richard Nixon always wanted to be. You know, he’s been allowed to act unilaterally in a way that we’ve fought for decades. Texas Senator Ted Cruz won the 2016 Presidential straw poll at a Republican Leadership Conference in New Orleans, Louisiana. Cruz finished first with 30.33%, Dr. Ben Carson second with 29.38% and Kentucky Senator Rand Paul finished third with 10.43%. They were followed by former Arkansas Governor Mike Huckabee and Texas Governor Rick Perry rounded out the top five, at 5.06% and 4.90%, respectively. Moderate RINO’s Florida’s former Governor Jeb Bush came in 7th with 4.42% and New Jersey Governor Chris Christie came in dead last with 1.11%. During his speech Cruz said that Republicans would take back the Senate, they will retire Sen. Mary Landrieu (D-LA) and remove Harry Reid as Majority Leader. Cruz finished in first place in the annual conference’s presidential straw poll at 30.33%. Dr. Ben Carson, a Fox News commentator and conservative activist, finished in second with 29.38% while Sen. Rand Paul, R-Kentucky, was third with 10.43%. Neither Carson nor Paul spoke at the conference, but their support was a show of confidence by the traditionally more conservative crowd. 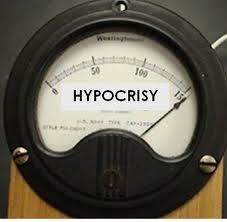 The annual meeting of activists features of who’s who of big-name Republican politicians. It is an important appearance for potential presidential candidates to make. Nobody Cares what any politicians in Washington says. Power in politics, sovereignty in America is with We the People! Cruz consistently pointed out that Democrats and establishment gray-beard Republicans both says that things can’t get done. Yet time after time in examples of drone strikes against Americans, Second Amendment gun control, foreign affairs and provisions in the International monetary fund. All won by conservatives. Too often the establishment GOP says it can’t be done because they are afraid to take a position. In order for there to be change, not only must Democrats go, so must the establishment Republicans who have long forgot what they were sent to Washington, DC to do. Cruz went on to blast the establishment same old-same old way of doing things within the GOP of trying to win elections. There is a cluster of political consultants who keep running losing campaigns, making the same mistakes and keep coming back to donors to make the same failed mistakes that did not win the previous times. He stressed that the way you win elections is you stand for principle and you empower the people.